We are focused on those serving in educational contexts so you will be joining a dynamic global community of educators representing 17 different nationalities, unified in a commitment to transformational education. We will assign you an experienced missions coach to assist you every step of the way from the application process to starting your overseas assignment. 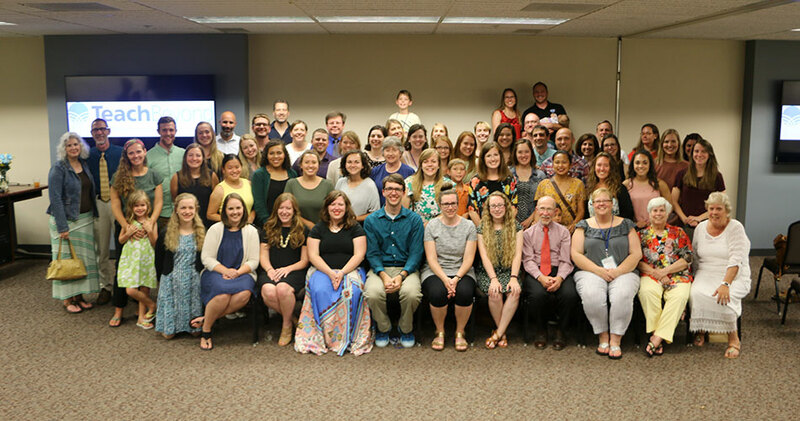 Our pre-field training (TeachBeyond Orientation) will help prepare you for living and serving cross-culturally by focusing on pertinent logistical, relational, spiritual, and professional topics. We will provide presentation resources, training, and coaching to help you as you raise your financial and prayer support. We have legal entities in 14 countries that can allow your financial supporters to donate to your project in several currencies. In many of these countries we can also issue tax-deductible receipts. We provide professional development and mentoring online and on-site. You will receive feedback to help you grow professionally and spiritually. In some regions, you will have opportunities to attend professional educators’ conferences. We facilitate continuing formal education and other opportunities. You can study online while overseas or on campus through our study leave program—and receive tuition reductions and/or scholarships. We have partnerships with Columbia International University, Dallas Baptist University, Liberty University, Messiah College, Regent University, and Wheaton College. See the Education for Members page and/or contact highered@teachbeyond.org for details. We will be with you! You will not be alone! Our member-care staff, each of whom has experience serving overseas, is committed to helping you maintain your spiritual, emotional, and physical health. In the vast majority of our schools/projects, you will be joining a local team of TeachBeyond members which provides an additional measure of support and encouragement. In addition to our on-the-field services, we also have dedicated home office staff that is available to help with many services related to finances, insurance, IT, and other logistical matters.